Have you ever heard of a tear-down? It’s basically a house that you ‘tear’ down because it’s not worth saving…this is known as ‘land value’ only. 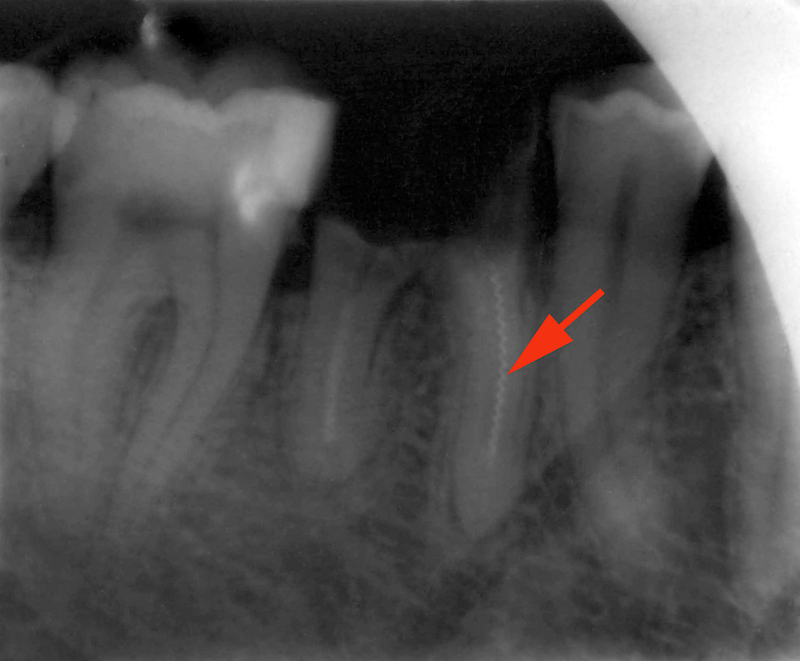 1) A patient’s tooth may be severely broken down (see above image). This may be due to severe decay or perhaps a large filling which has fallen out of the tooth. 2) The bone support of the tooth is poor. This means that there are problems with the bone that is holding the roots of the teeth in place. In other words, the house has a poor foundation. If there is not an adequate amount of tooth structure left to work with, (#1 above) or there are significant problems with the roots that are holding the tooth in (#2 above), then this may be a good time at which to say “ it’s not worth saving the tooth“. In addition to the above, you also have to factor in the amount of time you will be spending in the dental chair and also the financial commitment involved to save a tooth that just may not be worth saving. Sometimes, you just have to know when to call it quits! Extract the tooth and replace it with an implant: it’s a true permanent solution! Wondering whether to keep a tooth or extract it? Do you have questions about the cost of a tooth extraction, how it is done, the healing process? If so, give us a call at (905) 791-3867. Let us help you make an informed decision.